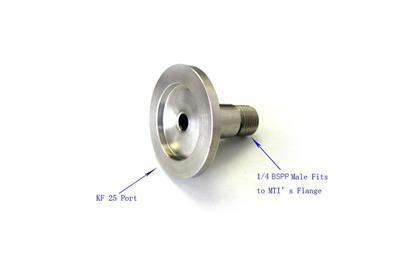 This adapter converts the 1/4 BSPP (thread to MTI's flange ) to KF-25 or KF-50 port. 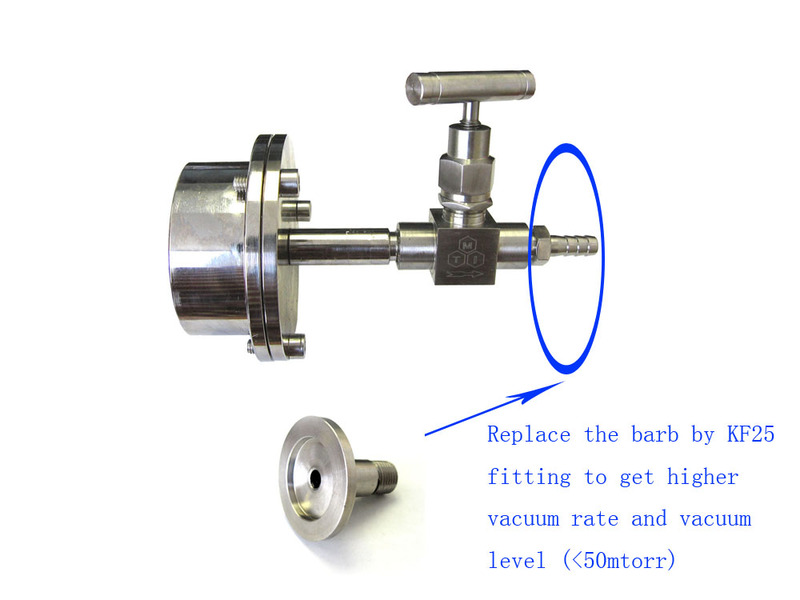 (Please choose from the options manual) The customer can connect the KF-25 or KF-50 bellows vacuum hose to the pump to increase exhaust rate and achieve higher vacuum degree < 50 mtorr. 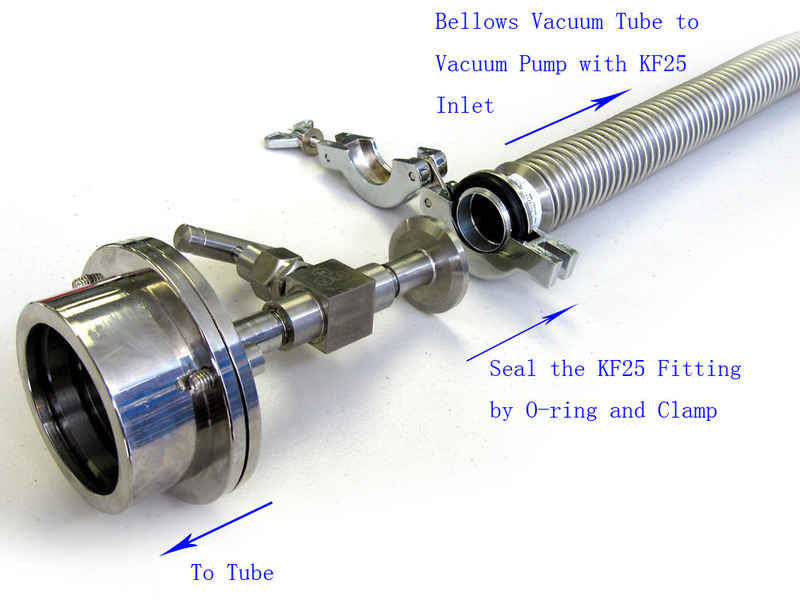 Click to learn more at MTI Gas Related page.